Worried about hiring a private investigator? Read our FAQs or call us on 0141 548 8055. With over 35 years in the investigation business we have the experience to help. Will my call be confidential? Yes. Our business is based on confidentiality and you can expect 100% confidentiality from the initial enquiry right through to the conclusion of our investigation and beyond. Don’t worry, lots of people feel this way including this client. When you call you’ll be put in touch with an investigator straight away. Our investigators are experienced in all types of enquiries and over the years have dealt with most of the problems people encounter. You’ll be given free, confidential and no obligation advice to help you find the best way forward with your problem. Don’t feel embarrassed because the chances are we’ve already helped clients like you before and our investigators will quickly make you feel at ease. Will the person find out they are under surveillance? We use techniques that allow us to remain covert. If we feel that the subject has a high level of awareness because of their background or previous experience or is an aggressive driver we will recommend the appropriate resources or in some cases technical surveillance aids such as trackers to enable a successful operation. Surveillance is an acquired skill requiring a constant real time evaluation of the need not to lose the subjects and the requirement to remain covert. We always choose to remain covert and will consult you at an early stage should any doubt exist. Our skilled investigators have police and military back grounds. Our fees are transparent and based on the service required, the duration of the investigation, and any mileage incurred. We are happy to send you our fee structure when the appropriate service(s) is ascertained and we will agree a budget limit and advise when the limit is close to being reached. We accept payment by cheque, credit card, and cash. 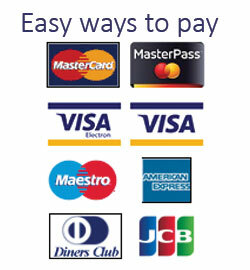 Credit card payments are subject to a small handling charge which is a cost imposed on us. You will normally be asked for a form of payment in advance. I don’t want anybody to know I am consulting investigators. Will someone contact me unannounced? No. You tell us how and when you want us to contact you and we can also suggest additional secure methods that have worked well for clients in the past. You can expect verbal updates throughout the investigation and at the conclusion of the case you will receive an evidence package. The evidence package contains a written report including pictures as appropriate and video evidence normally requested in DVD format. Are the investigators up to the job? Our investigators come from police and military backgrounds and as such are trained to the same standard as professional police surveillance teams. We invest heavily in the most up to date surveillance equipment. We have specially equipped vehicles with various evidence gathering capabilities along with encrypted covert hands free communications radios. We also have investigators specially trained in and equipped for covert camouflage techniques. We need as much information as possible although in the past we have had success with where only vague and historic information has been available. Is it too late to get someone followed tonight? It depends, call us now on 0141 548 8055. Is the company licensed as private investigators? Licensing for investigators doesn’t exist in the UK but we invest heavily in our own self-regulation. In particular we are members of the Association of British Investigators an organisation that requires strict criteria to be met before being allowed membership ensuring we have Professional Indemnity insurance, have subscribed to a clean criminal records check and have passed the required competency based examinations. We are also members of other industry organisations having been vetted for membership. We only operate legally and ethically. It is legal to conduct surveillance and take photographic and video images of anyone who can be seen from a public place. We conduct surveillance ethically and respect the rights of third parties when doing so. For a confidential & free telephone consultation call us on 0141 548 8055. Boothroyds offers a professional investigation service backed up by our experience as ex-police officers, military personnel and by our professional memberships.